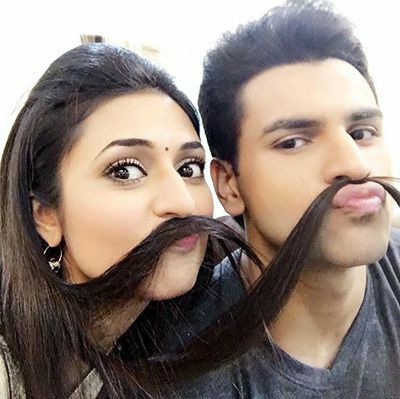 Vivek Dahiya is leaving no stone unturned to make his wife-to-be Divyanka Tripathi feel special. The two, who will get hitched on July 8, are busy enjoying their courtship days. Vivek, we hear, loves to surprise his girl with romantic gifts and the latest is a mobile phone cover. The cover has ‘Divyanka’ inscribed on it. Vivek has bought a similar one for himself, with ‘Dahiya’ inscribed on it. Placed together, the 2 covers will read ‘Divyanka Dahiya'. Looks like Vivek can’t wait to claim Divyanka as his Mrs. “That was exactly my idea,” says the actor, laughing loudly. Meanwhile, the phone covers have become quite popular on the sets of their show, Ye Hai Mohabbatein.